Recognised as one of Australia’s leading international screen composers, Christopher is renowned for his ability to score truly “filmic” music for television as well as film. 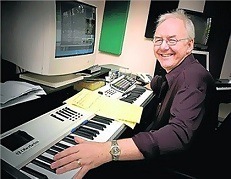 His ability to compose everything from a simple emotive piano motif through to sweeping epic action score, all in a manner that welds seamlessly to the nuances of character and narrative, has led to no fewer than six coveted Apra/AGSC Screen Music Awards over the last seven years. 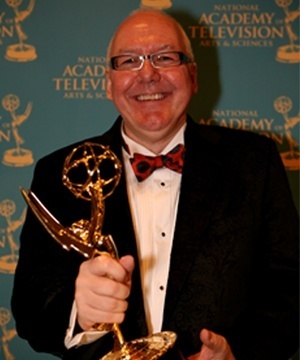 In 2009 Christopher was recognised internationally for his outstanding score for the animated series “Animalia”, winning the Emmy for “Outstanding Achievement in Music Direction and Composition”. In 2012, as well as writing minimalist score for the SBS mini series “Once Upon a Time in Cabramatta, his haunting piano score featured in the Tropfest short-listed film “My Beautiful Departed”. In sharp contrast he also scored the deliciously whimsical orchestral score for “The Tooth Demon”. “Cabramatta” went on top win Christopher an AACTA nomination for “Best Sound in a Documentary”. Recently Christopher scored the short film “Great Adventures”, which is now storming through the US film festivals to great acclaim. He also completed the new international animated TV series “SheZow”, which is currently rating very highly on the US network “The Hub” as well as screening in Australia on Channel 10. 2014 has seen Christopher complete the score for an international feature film – currently under wraps – and is working on the score for the world famous Hasbro series “Transformers – Rescue Bots”. Christopher lives in Brisbane Australia, with wife Lee-Anne and daughter Emma.